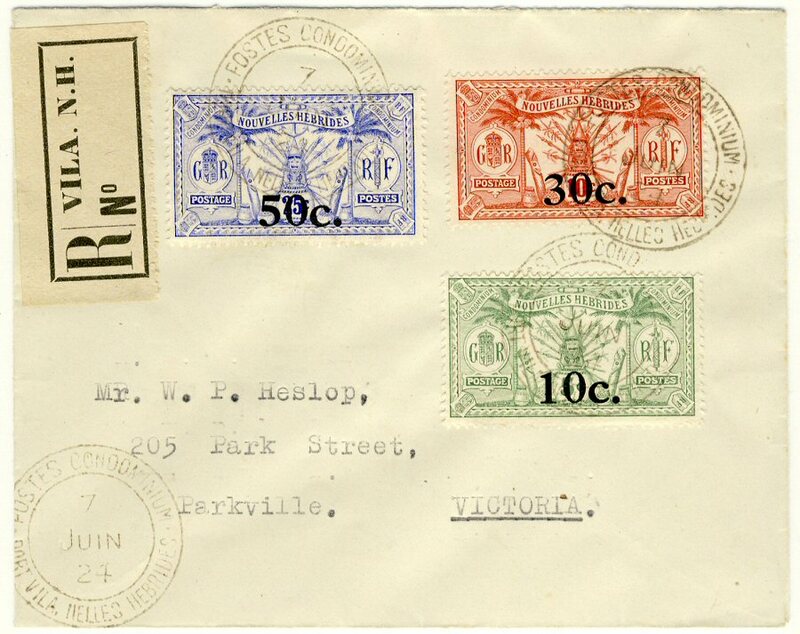 Click on the images for pop-ups. 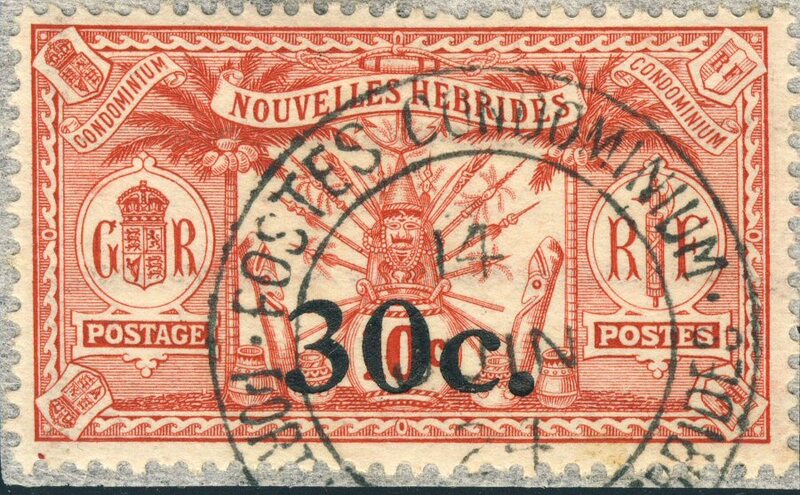 From 1920 to 1924 the ships serving the New Hebrides were "PACIFIQUE" for Messageries Maritimes and "MAKAMBO" for Burns Philp & Co. Ltd. 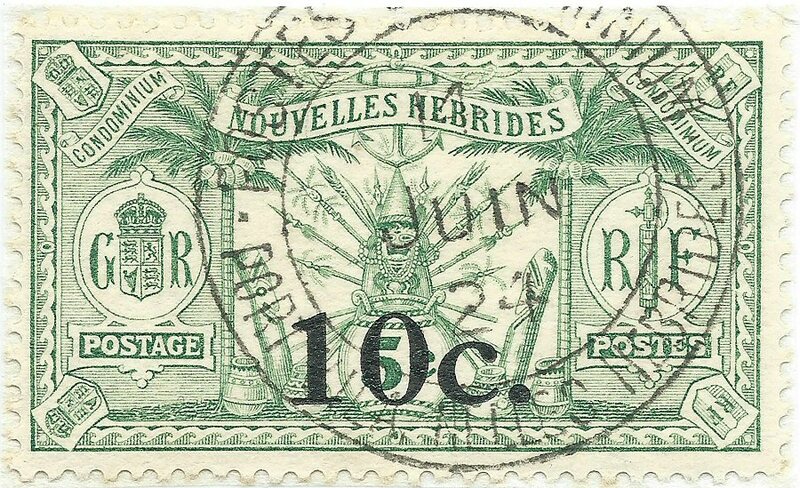 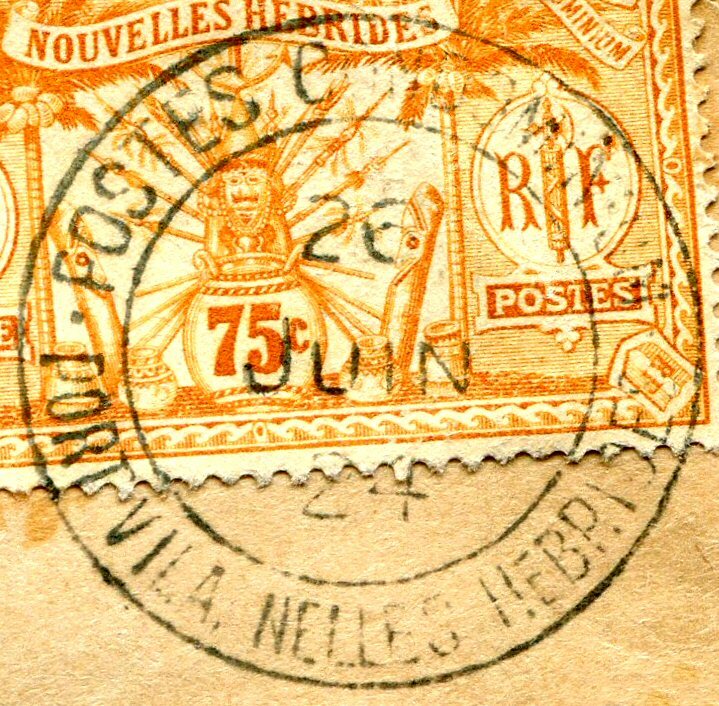 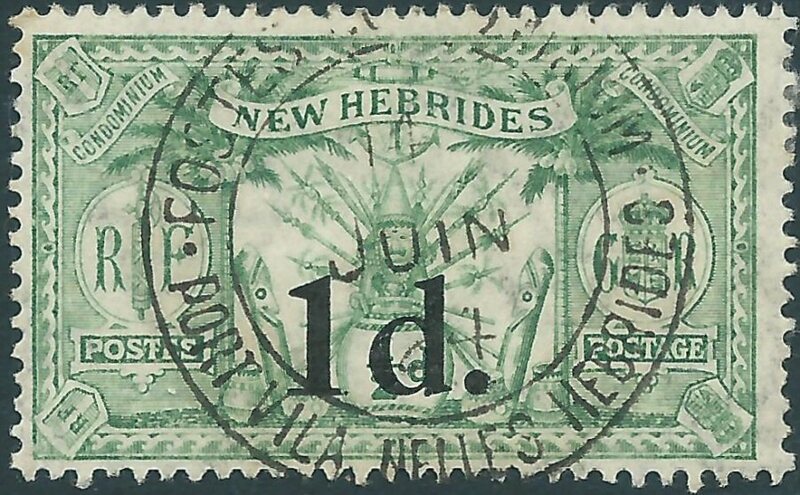 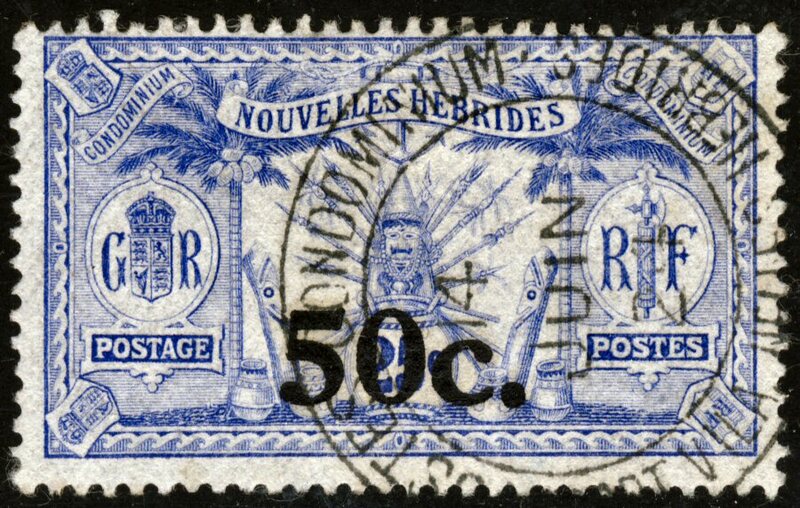 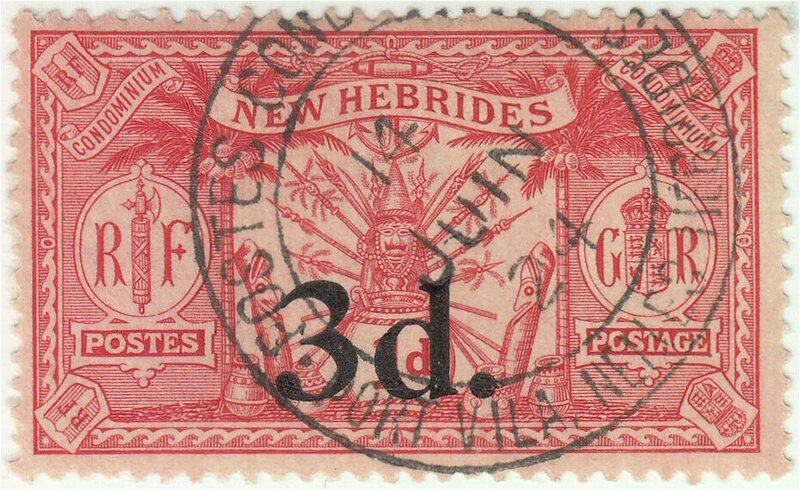 The Goyns/Klinger postmark PM6 can be found on many New Hebrides covers between 1 May 1924 and mid of January 1932. 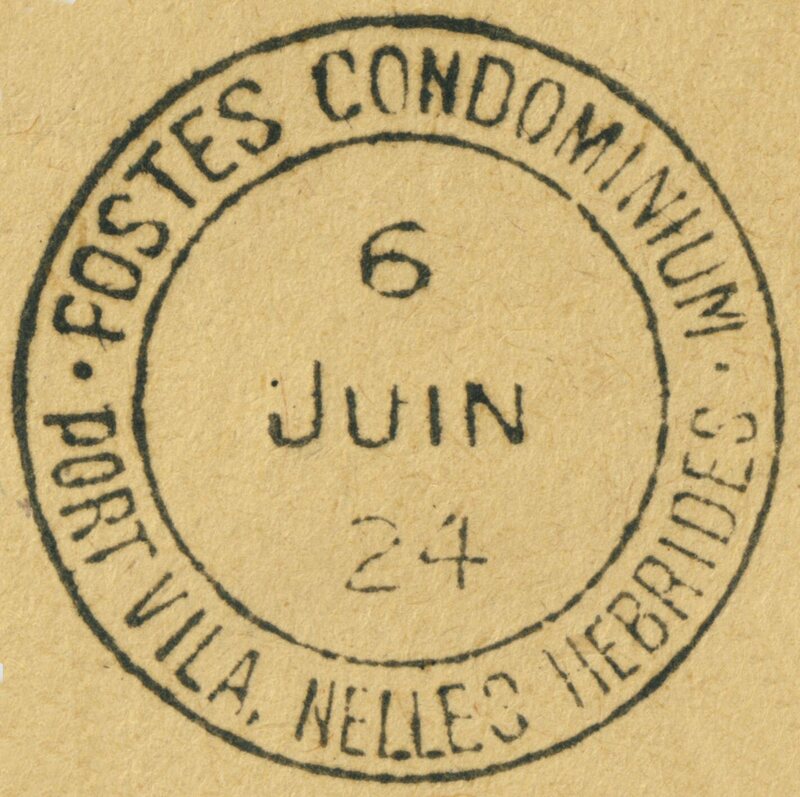 PM6 b has a comma after VILA and a wide gap to NELLES, PM6 a has a dot after VILA and a much smaller space. 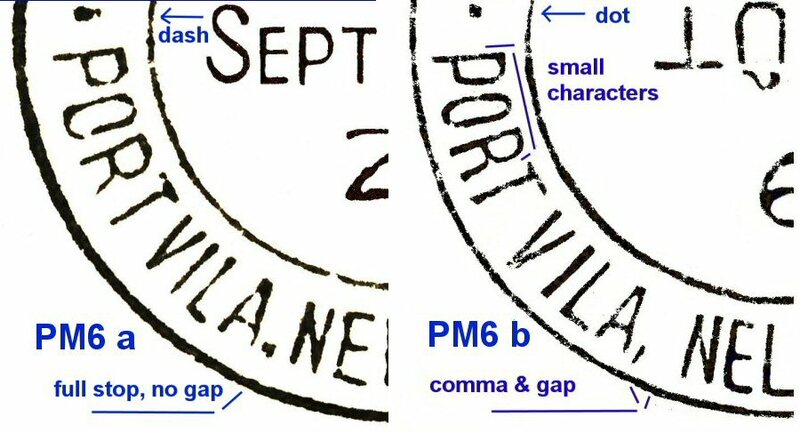 Especially PORT has narrower characters compared with PM6a. 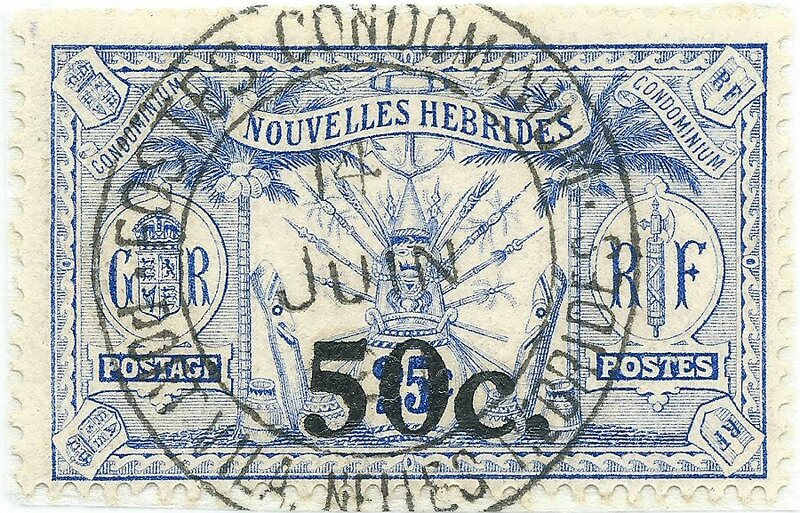 The upper writing is shorter and therefore the two dots at left & right are higher in PM6b. 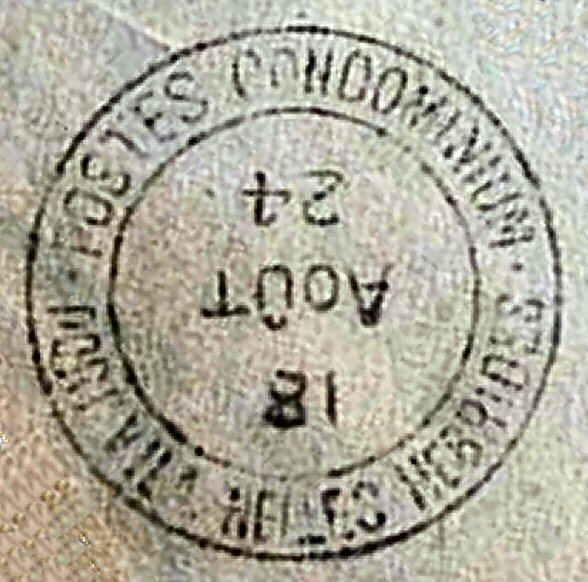 The double ring with the inscription of PM6b is tighter and the postmark is a bit smaller. 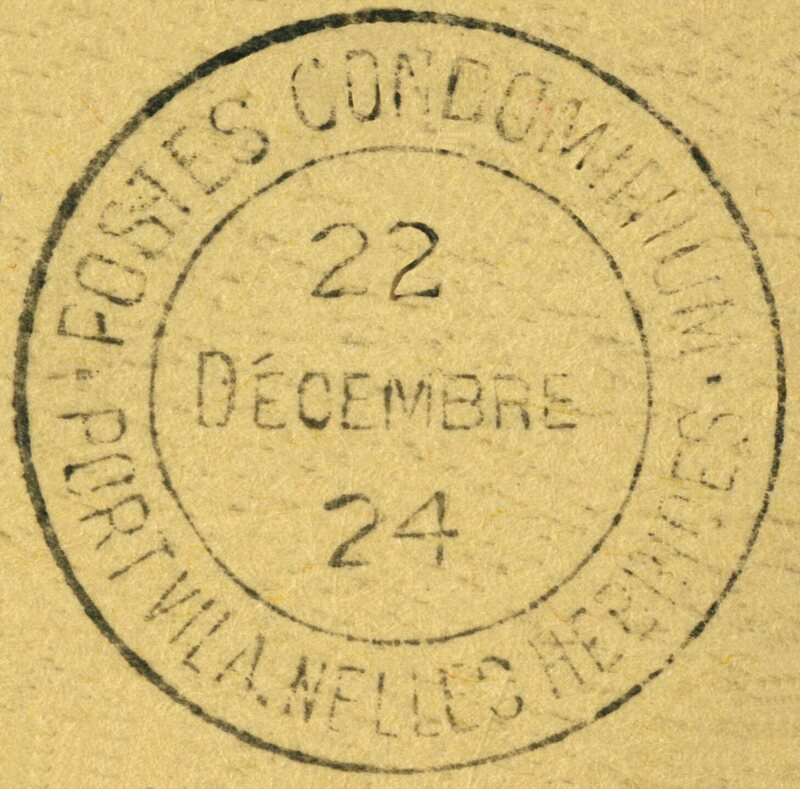 The divider between POSTES and PORT is a dash in PM6a and a dot in PM6b. 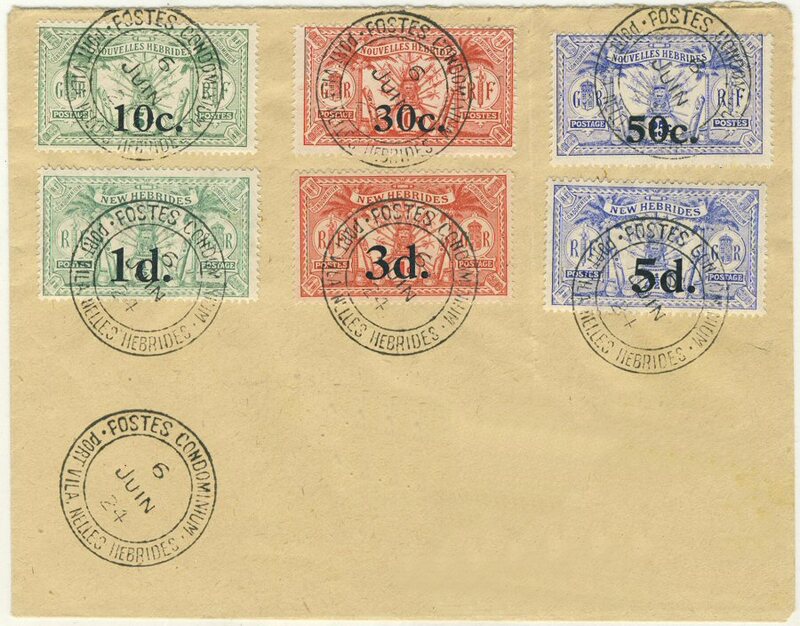 The three 1924 French provisionals and three British provisionals on a cover without address. 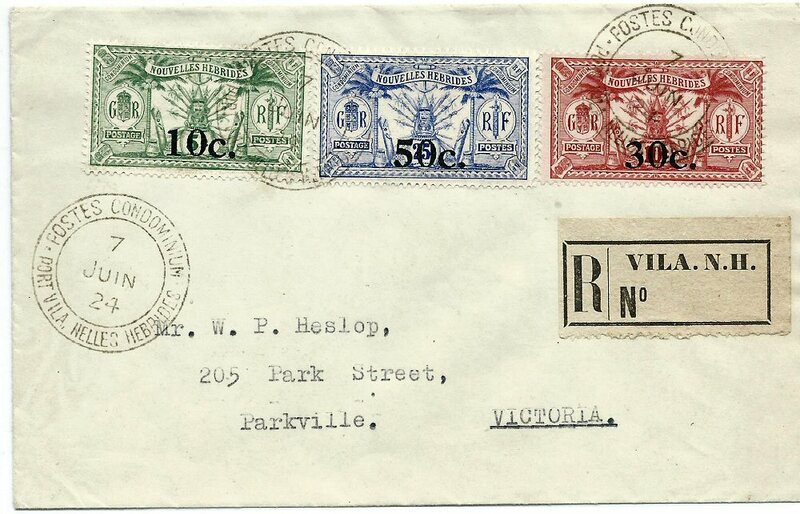 PM6b on a cover to Parkville, Victoria. 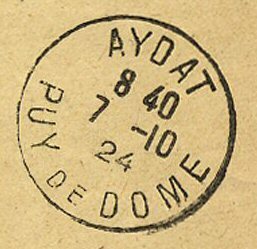 Stamps on reverse. 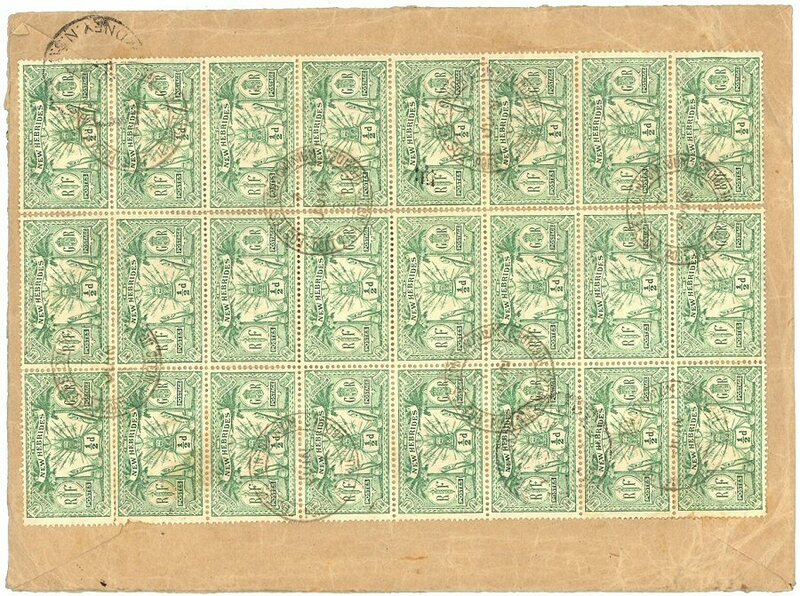 Seen on Ebay in 2011. 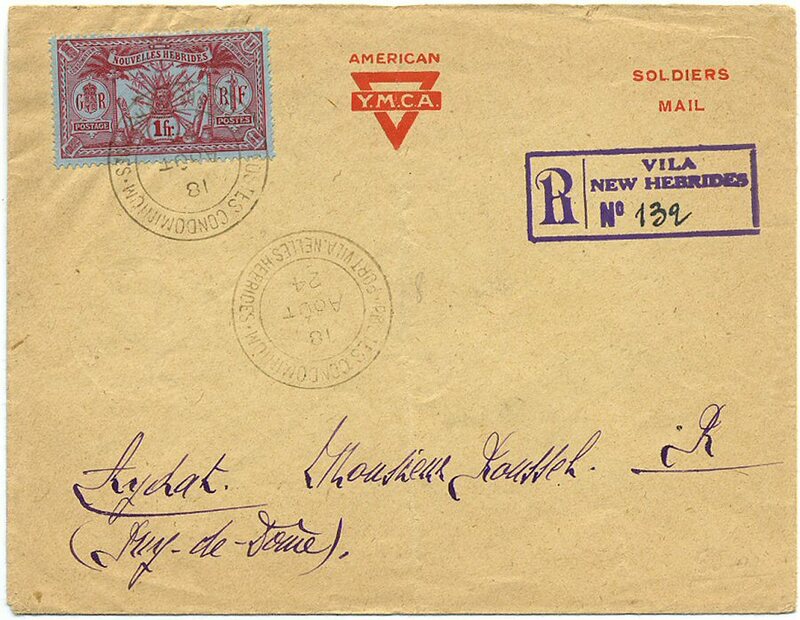 Registered cover to USA, even as heavy letter overpaid 10c. 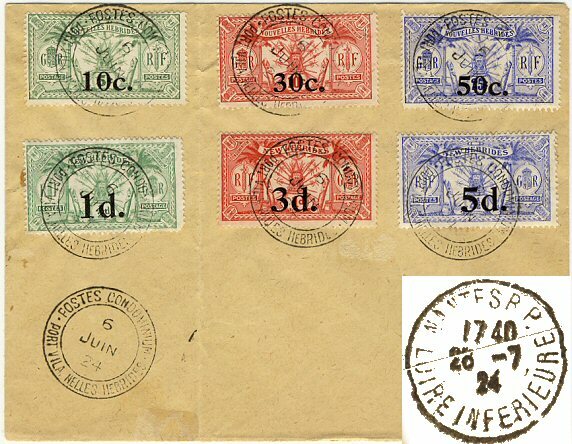 The 1F stamp ist cancelled with GK PM6b. 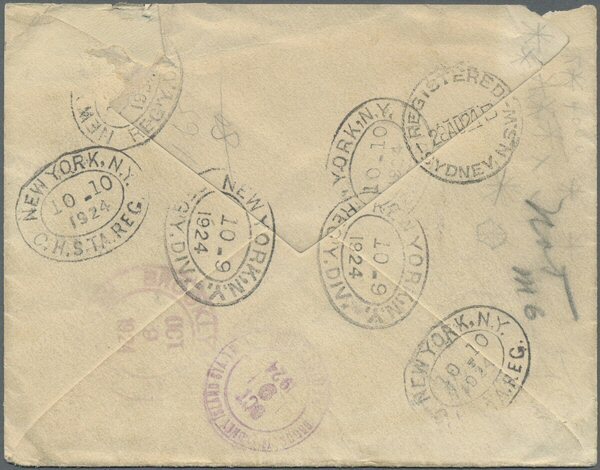 On reverse: Sydney REGISTERED 28 AU 24 - Brooklyn OCT 9 24 - Brooklyn Cooney Island OCT 9 24 - 10-10-1924 New York C.H.STA.REG. 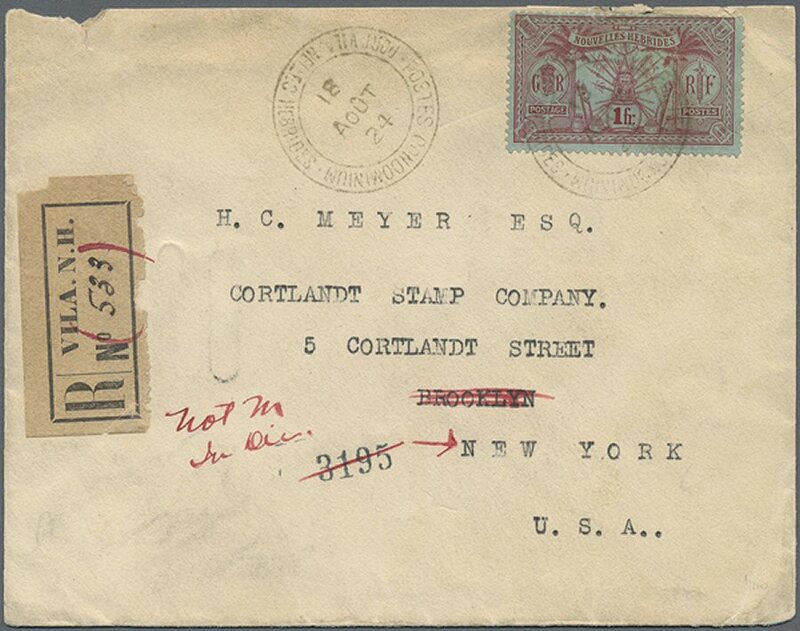 - 10-9-1924 New York REG.Y.DIV. 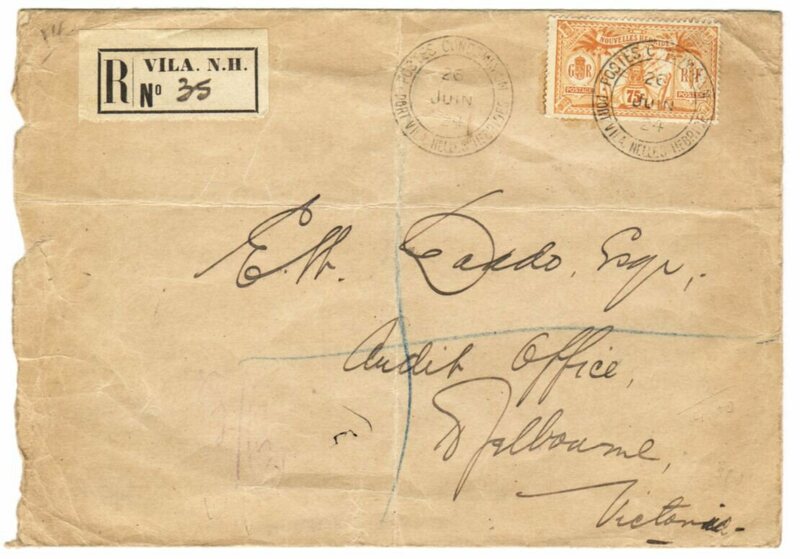 S.S. MAKAMBO arrived at Sydney on 28 AU 24. 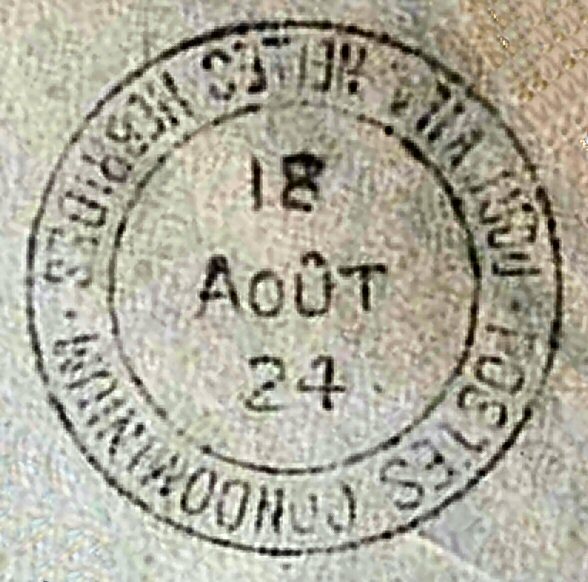 This 18 AOÛT 24 is an interesting date: The "18" on the cover to the U.S. above is rather clear and safe and at this date MAKAMBO arrived in Sydney. 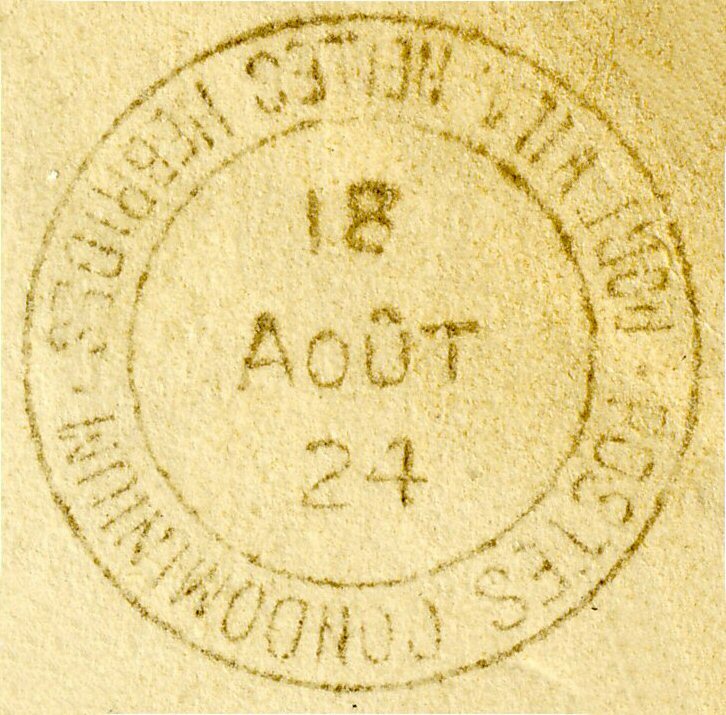 BUT: besides this one there is another cover to France with PM6 from 18 AOÛT 24 which very clearly carries PM6a - date block not inverted. 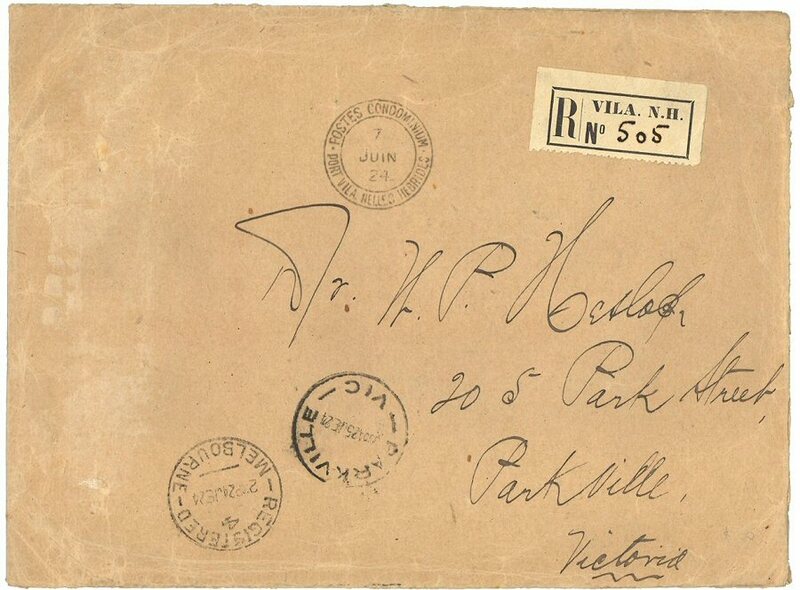 This postmark is clearly PM6b - maybe they had difficulties with the date. 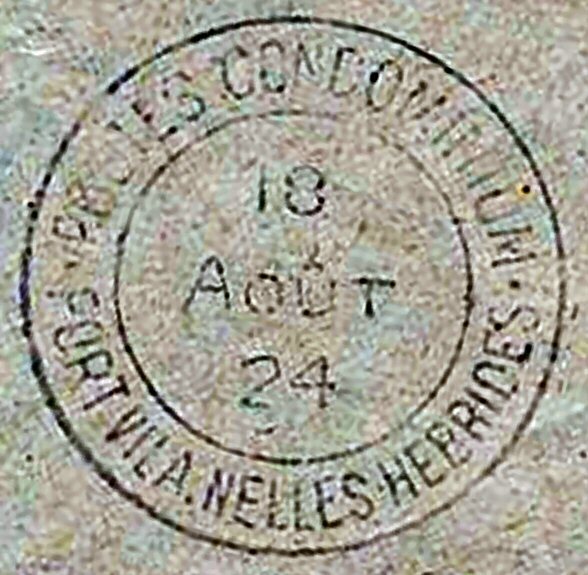 The other 18 August postamrk from the cover nearby which is PM6a. 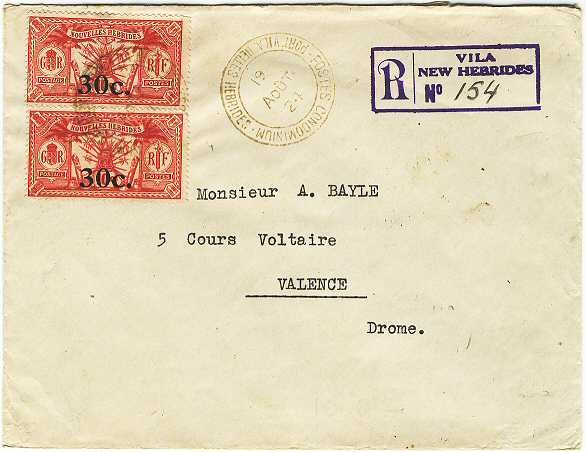 News: this is the first time that I saw the very scarce postmark PM6 type b on a stamp and even with a so far unknown date: 14 JUIN 24. 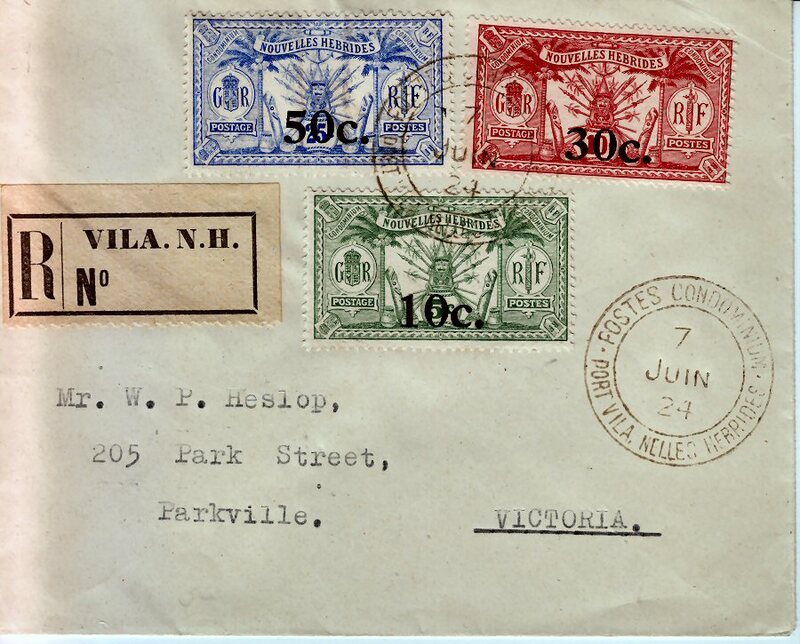 Should you find a PM6 type b in your collection please send me a hi res scan or at least the date so we can see the usage. 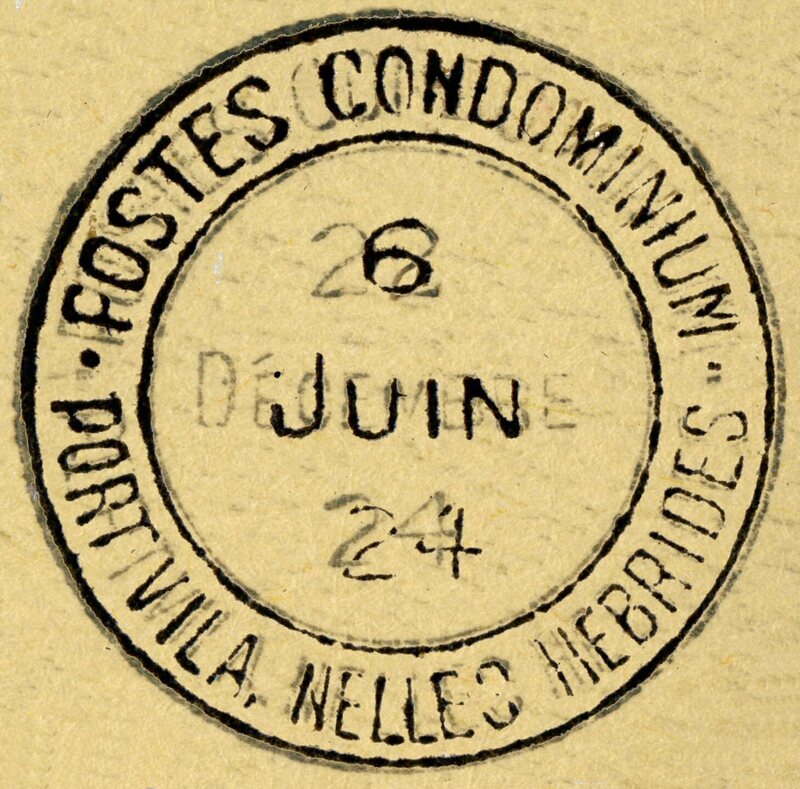 6 JUIN 24 -- 7 JUIN 24 -- 14 JUIN 24 -- 26 JUIN 24 -- 18 AOÛT 24 (date block inverted) -- 19 AOÛT 24 (date block inverted).